Beyond its prowess as the ultimate choice in a Bay Area address, Palo Alto stands as one of the nation’s most desirable cities. Serving as the cultural mecca for Silicon Valley, Palo Alto and Menlo Park share the financial dynamo along San Hill Road–the “Wall Street” of venture capital for high-tech innovators. 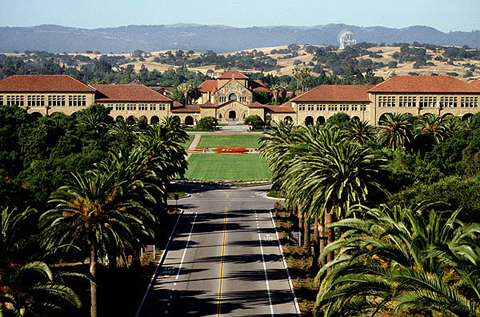 Home of Stanford University and the birthplace of Silicon Valley, Palo Alto claims intelligent, affluent residents. Even the public schools repeatedly produce SAT math score prodigies. Unique in its amenities, Palo Alto offers the excitement of University athletic competition, ivy-covered walls and tree-lined streets, excellent restaurants and shops, wonderful bookstores, and renowned cultural venues and events. The recreational opportunities are equally superb–from bike and pedestrian trails to children’s theater, ice-skating rink, skateboard bowl, golfing and tennis, summer concerts, and outstanding city programs. Crowning over 4,200 acres of parkland is a scenic 1,400 acre preserve in the Santa Cruz Mountains that is exclusively for Palo Alto residents. Other community highlights include the $100 million children’s hospital, Stanford’s “Super Bowl and World Cup” caliber stadium, the Leland Stanford Jr. Museum, and fine art galleries. Home choices range from older, postwar models from the ‘50s to the most exclusive and luxurious of custom builds. Building restrictions and regulations are many, ensuring the beauty and quality of life for which the city has become famous.